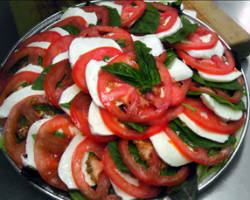 Italian catering is a wedding reception classic. The rich flavors and warm atmosphere that comes with providing authentic Italian dishes are wanted at every event. Tully’s Italian Deli & Meats has developed a menu of traditional dishes that will make you feel like you are in the very heart of Italy. Whether you are serving a light lunch, or would like a complete buffet, the hot fresh dishes they serve will leave your guests full, happy and ready to celebrate. Sharon’s Gourmet To Go is focused on providing fresh ingredients in every dish they prepare. This is a small and affordable catering company. 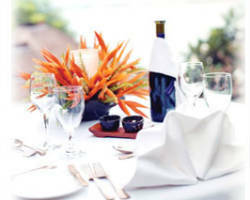 They cater for events with guests of up to 100 people. They limit it to this number because they never want to compromise quality in their food. First you submit an order form so the company can get a feel for your event and needs and then you will be able to work with the caterer to either make special requests or simply confirm their plan. Former clients have said that Slate Street Café has provided the best-catered food they’ve ever had. Who better to tell you if a caterer provides tasty meals than the people who have already tried them? 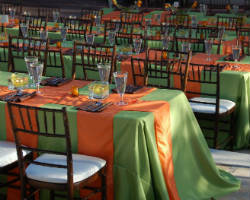 This company specializes in wedding receptions meaning they have perfected the execution of every event. Whether you want a full service Southern dinner, a Mexican food buffet, or a crawfish bake, they can create a menu to match your event’s style and your personal tastes. 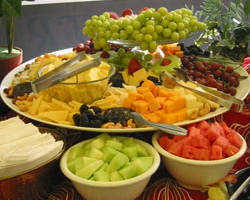 Indulgence Café and Catering is the best local wedding catering company in Albuquerque. That seems like a big claim, but this company has earned it. They offer the most flavorful dishes at affordable prices. Everyone who has tasted their meals has been blown away by their freshness and quality despite the large number of people at events, which often causes catering to be a bit stale. They have some of their former client’s favorites to give you some ideas but will always customize a menu to make it fit you. 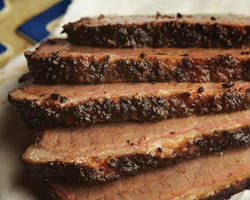 Southern BBQ is the favorite of so many, which is why Rudy’s Country Store & Bar-B-Q developed a catering service to meet the cravings their clients have for delicious meats at their events. For weddings, large events or family gatherings of any kind, this caterer will provide a variety of meats and sauces that are sure to delight your guests. Having your favorite meal on your wedding day won’t break the bank either. For a relatively cheap price, you can fill up on flavorful meats and classic sides. 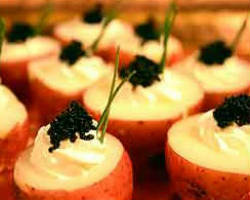 Black Tie Catering specializes in formal and business events catering. Their service is professional and classic meaning they are perfect for any large traditional occasion like a wedding. They take care of everything to do with food and drinks on your wedding day, which means that you can fully relax knowing you won’t have to chase the caterer around on the most important day of your life. Choose from their extensive menu to make your party or event unforgettably delicious. The best way to tell if a catering service is worth looking into is by first reading the reviews. Each and every review of Eventions Inc. compliments their precise attention to detail, hospitality to the guests and work to provide delicious and hot meals. This top catering service not only provides the perfect menu to accompany your event, but the service they offer will exceed any expectations you had. 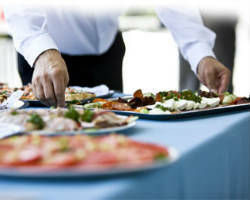 Choose this caterer to bring your event to the next level.